I had a whirlwind experience at RWA National in Denver last week that wrapped up with the Readers 4 Life Literacy Signing on Saturday where I signed copies of HIS PERFECT PARTNER and HER PERFECT AFFAIR. Just before the event I spoke with Chaney Skilling from the Denver Post, who was working on a article about Romance Writers of America and the annual book signing that raises funds for ProLiteracy. She touched on the organization’s efforts toward diversity & inclusion, efforts I’m proud and blessed to participate in. We have a long way to go, as an organization and an industry, but together we can ensure that all romance authors have a voice. Have you seen the latest article about romance novels in Redbook Magazine? If not, you’re in luck because I’ve got the link right HERE! It’s a diverse, rich list! I’m humbled and thrilled that His Perfect Partner is mentioned amongst a super cool crowd of romance authors that ROCK! Check out the list and you won’t be disappointed. In fact, I’d say you’ll have a hard time deciding which one to read first! Romance Writers of America® 2018 RITA® & Golden Heart® Finalists Announced! 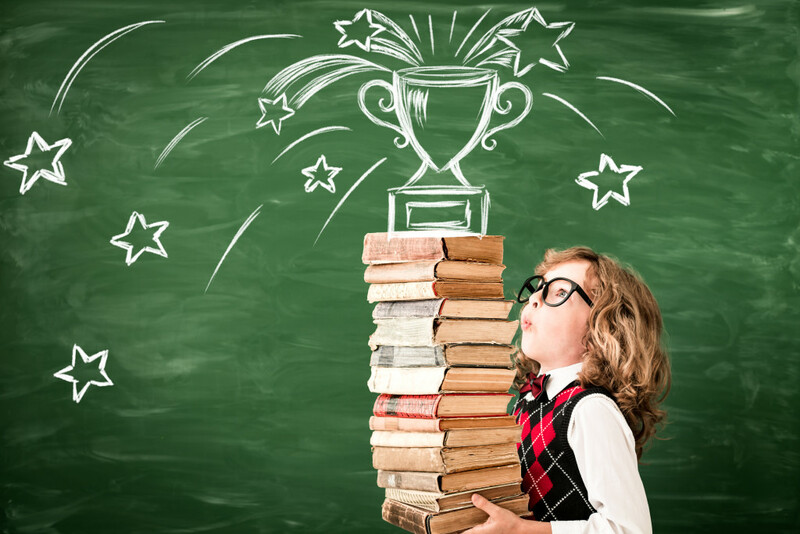 Earlier this week the 2018 finalists in the Romance Writers of America® RITA® and Golden Heart® contests were announced. It was an absolute thrill and surprise to get the call from RWA President Dee Davis letting me know that my debut novel HIS PERFECT PARTNER has been named a double finalist in the categories Best First Book and Contemporary Romance: Mid-length. For the full list of authors and books, visit the RWA website or check out the article in HEA USA Today! See you in Denver for the Awards Ceremony and celebrations! Sometimes life brings you wonderful surprises…like this one I experienced last Friday, just as I went into the writing cave to work on a looming deadline. 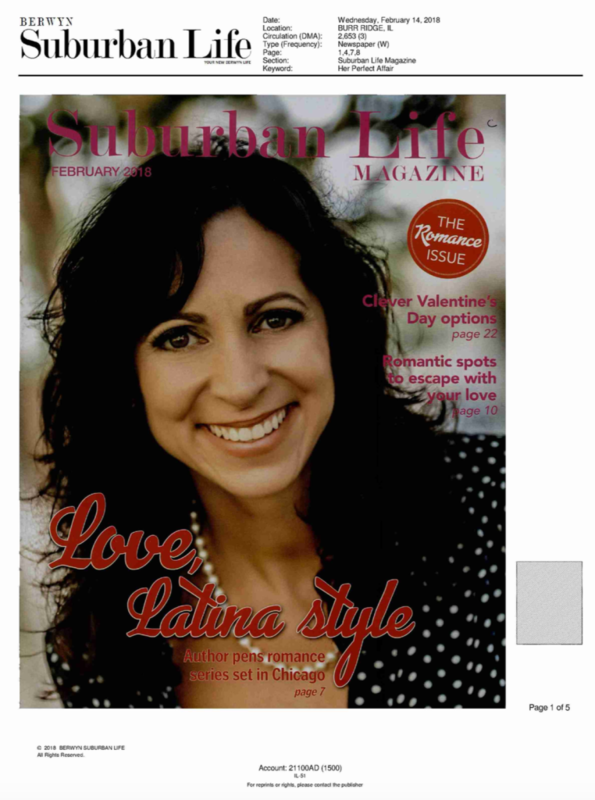 In January, I was contacted by an editor with Suburban Life Magazine in DuPage County outside of Chicago to see if I’d be interested in doing an interview. They had heard about the “Romance Writing” class I teach through ed2go, but were happy to find out that my MATCHED TO PERFECTION series is set in and around Chicago. I spoke with a friendly journalist for about 45 minutes a few days later and was looking forward to a small article on the inside of the magazine (my assumption as I later realized that I didn’t specifically ask where the article would go). Flash forward to last week when the magazine tagged me in a social media post and….WOW! I’m on the cover! The journalist did a fabulous job with the article and I love that the tone was a friendly, professional mix. More importantly, we were able to shine a positive light on romance, especially diverse romance. Here’s the cover, but check out this link and the one in the magazine’s name above for the full article!